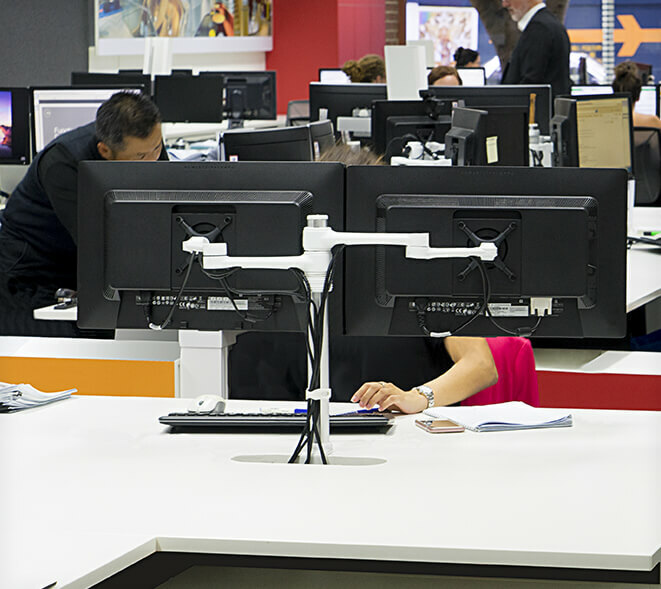 Commercial office environments are hives of activity involving open-space, private and collaborative zones. 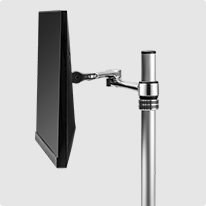 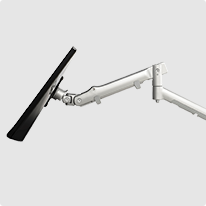 Well-designed mounting solutions anticipate workflow, ergonomics, and functionality for present and future workplace needs. 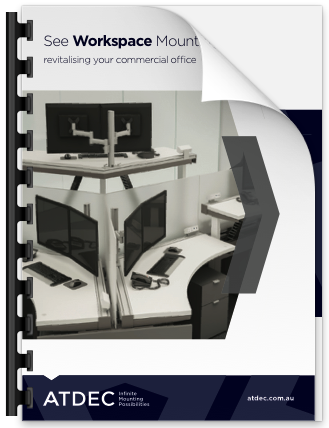 Get started with innovative approaches to frequent applications. 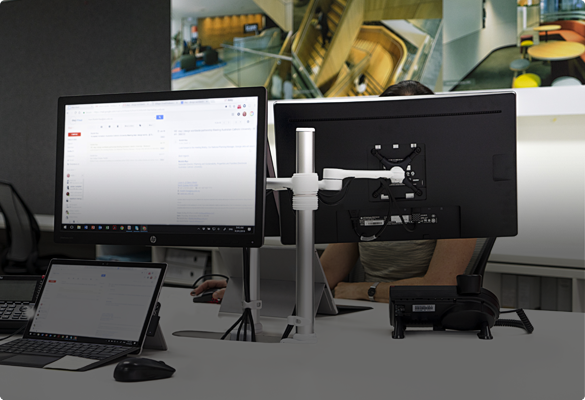 Amp up employee efficiency with multi-screen configurations and multi-device adaptions designed to maximise aesthetics, ergonomics, desk space and productivity. 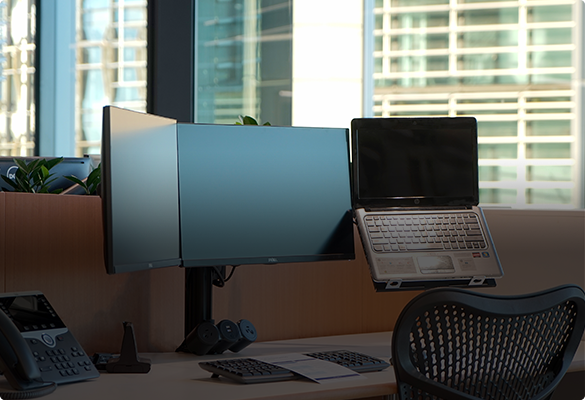 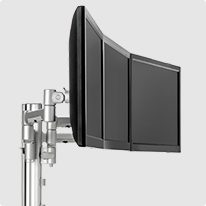 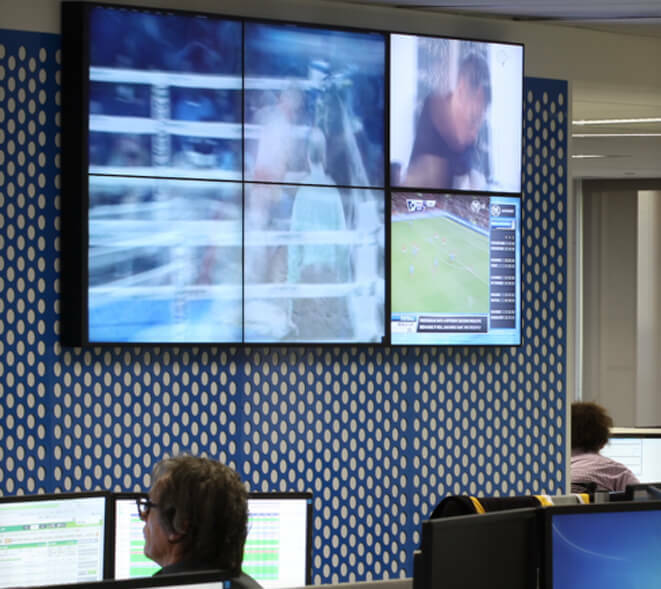 Take time-sensitive strategic zones to the next level with robust multi-screen and back-to-back capabilities able to be finely tuned to environmental surfaces, specific applications and ergonomic requirements. 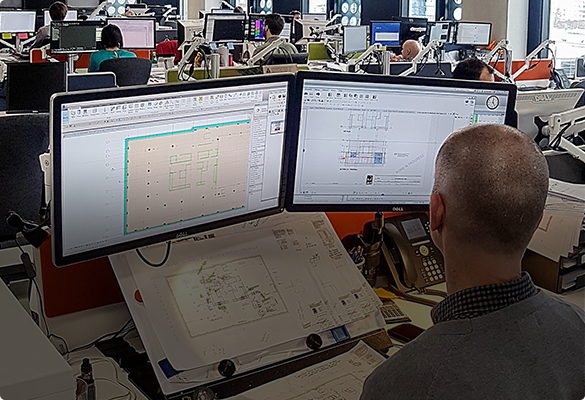 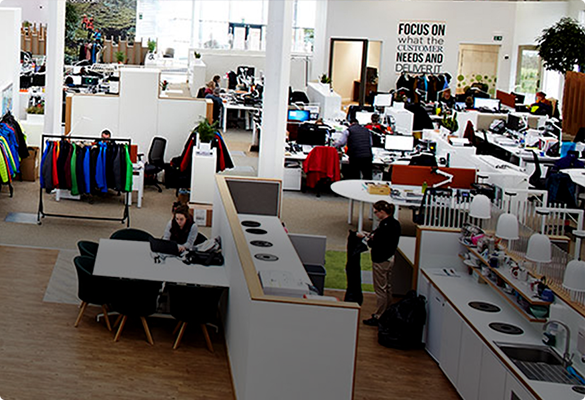 Bring people together from across floors and departments into intuitive and multi-use collaborative zones that utilise available mounting surfaces including desk, wall, ceiling, and floor.